Line a baking tray with a piece of parchment paper. Spread the sifted flour and bake for about 20 minutes. Stir occasionally while baking, and then remove from the oven and let cool completely. In a large bowl, using a wooden spoon beat the butter and sugar until soft and creamy. Mix in the ground almonds until well blended. Add the flour and mix until smooth dough is form. Roll out the dough to a thickness of 10mm( 1/2 inch). Using a cookie cutters, cut out desired shapes and transfer them to a baking pan. Gather up and reroll the scraps and cut out more cookies. Bake for about 20 – 25 minutes and transfer the cookies to wire racks and let cool completely. Dust the cookies with some confectioner’s sugar, if desired. Store in an airtight container to keep them crisp. Makes 16 to 24 cookies. These look super delicious and so nice! I love this recipe - simple and yet packed with flavor! Perfect with a glass of sherry. I have bookmarked this on the same book but have yet to find the time to make it. Now I am tempted to try asap after looking at your pics! Such beautiful pictures! And the recipe looks wonderfully doable too. I baked these for the second time last night, a massive batch of over 60 cookies for work, friends and family. I hope they all like them as much as I do! Hello, thanks for the recipe. I made the polvorones and I hope you don`t mind I gave a link to your blog in my post. Thanks again and the polvorones are totally divine! I love polvorones, I always buy polvorones from Goldilocks. I am very interested in making of my own. good to find this recipe! 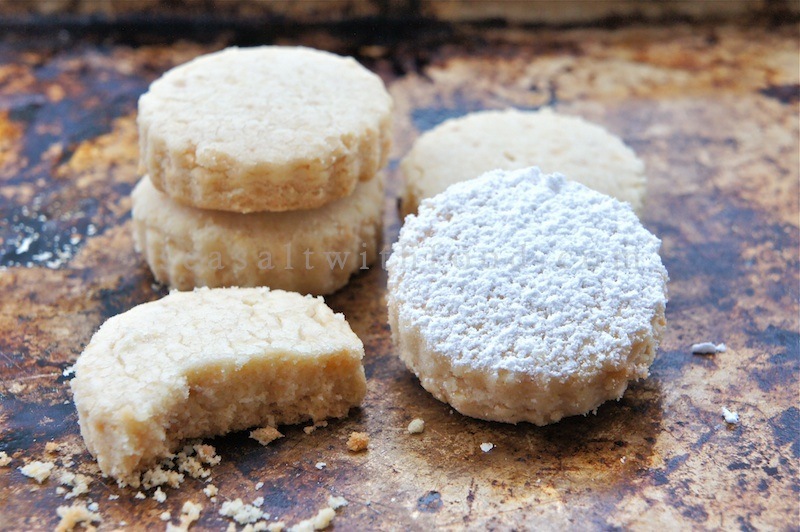 I'm curious what baking the flour does for the polvorones. Can you make them without doing it? Sorry LaraQ, I wish I have the answer. I think it had something to do with the taste and texture of the cookie, probably toasty and crumbly? 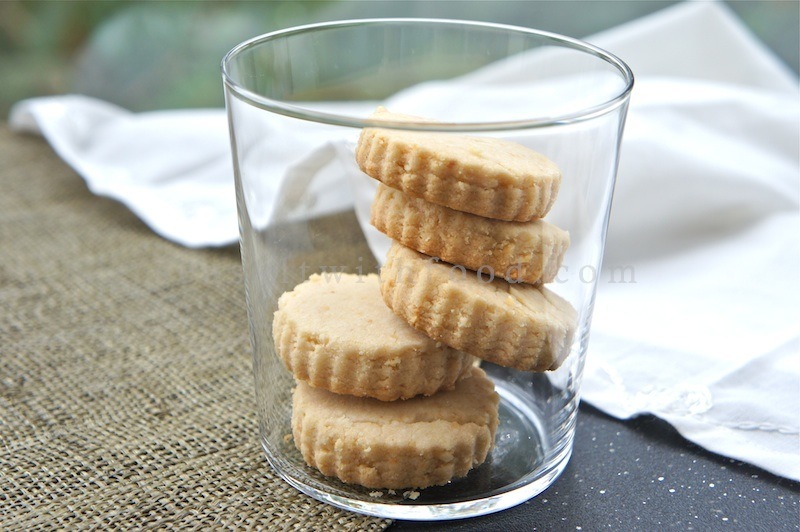 It's ground almond fr blanched almond, crunchy and slightly melt-in mouth type cookies.